I am very interested to learn how her relationship with Capaldi develops when they get into filming series eight — which could begin as soon as next week! Curious to know even more about “The Time of the Doctor” — specifically, how much work went into creating Matt Smith’s memorable Christmas swansong as the 11th Doctor? Check out this official BBC video! Warning: MAJOR SPOILERS AHEAD! While showing us how the episode was made, significant plot reveals are revealed and spoilers are spoiled, so if you haven’t actually seen “The Time of the Doctor,” well — it’s time for you to see a Doctor! Also, major feels ahead, including sobbing from brokenhearted cast members. Grab some tissues before clicking! The wait for the 12th Doctor will be excruciating! I know this happened just a few days ago, but I am still sad to see Matt Smith leave the title role in DOCTOR WHO, and so I find myself watching his regeneration scene over and over. If you watched yesterday’s DOCTOR WHO Christmas special, you’re doubtless still recovering from all the feels, so why not take a look at this deleted scene, courtesy of our pals at BBC America. The clip is non-spoilery in terms of story if you haven’t seen the episode, however, the gag won’t quite make sense until you’ve seen it. MINOR SPOILERISH COMMENT: Though typically charming, I can see why this scene was deleted (if, indeed, there was a reason beyond typical time constraints): It bankrupts the laugh line a few moments later when the Doctor (Matt Smith) tells Clara (Jenna Coleman) that her family cannot see his holographic clothes, so he appears naked to them! 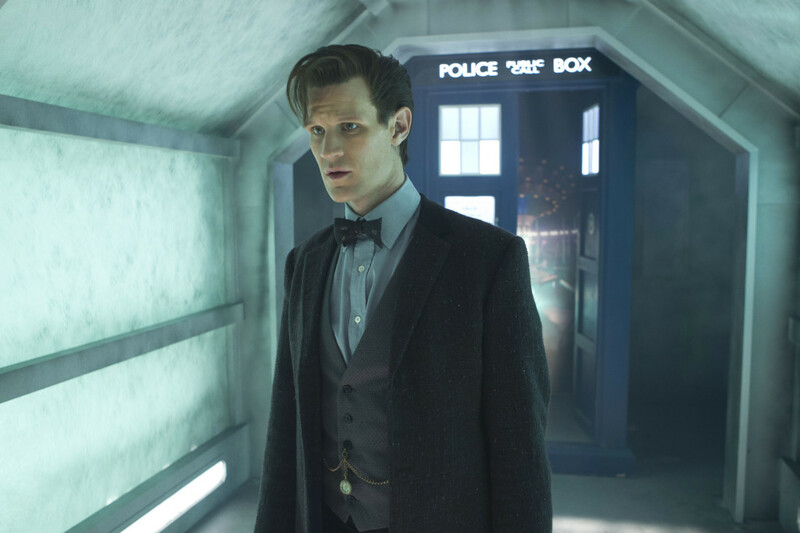 DOCTOR WHO show-runner and lead writer Steven Moffat promises that our lingering questions about the 11th Doctor’s era will be answered in “The Time of the Doctor,” the final story for the Matt Smith Doctor, whom he created. 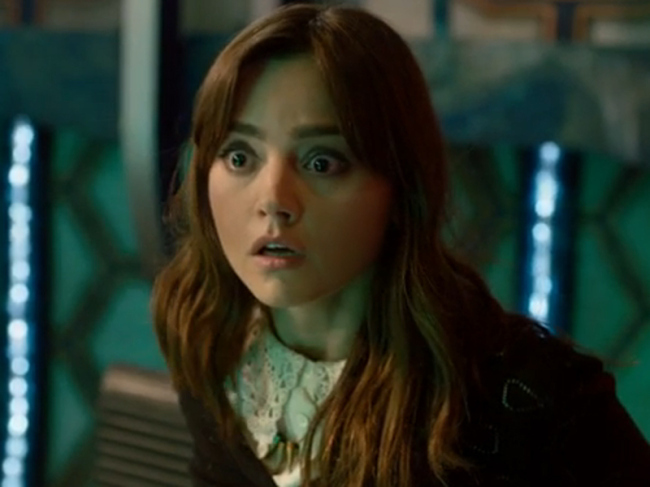 “The Time of the Doctor” airs in just a few hours here in the USA, at 9 p.m. ET on BBC America. Geronimo! Everyone’s favorite clone warrior/nurse Strax (Dan Starkey) files his latest field report, this one detailing the human custom of Christmas. Happy Christmas, everyone, and enjoy the DOCTOR WHO Christmas special tonight at 9 o’clock on BBC America! Tomorrow is the big day: Matt Smith’s last adventure as the star of DOCTOR WHO. During tomorrow’s Christmas special, “The Time of the Doctor,” the 11th Doctor will cede the show to the 12th incarnation of the Time Lord, to be played by Peter Capaldi. So, just in case you need a little more convincing, here are the big guns of the series — Smith, executive producer Steven Moffat, and co-star Jenna Coleman — with some hints of what to expect from the story, which just happens to be the 800th episode in the history of the series.